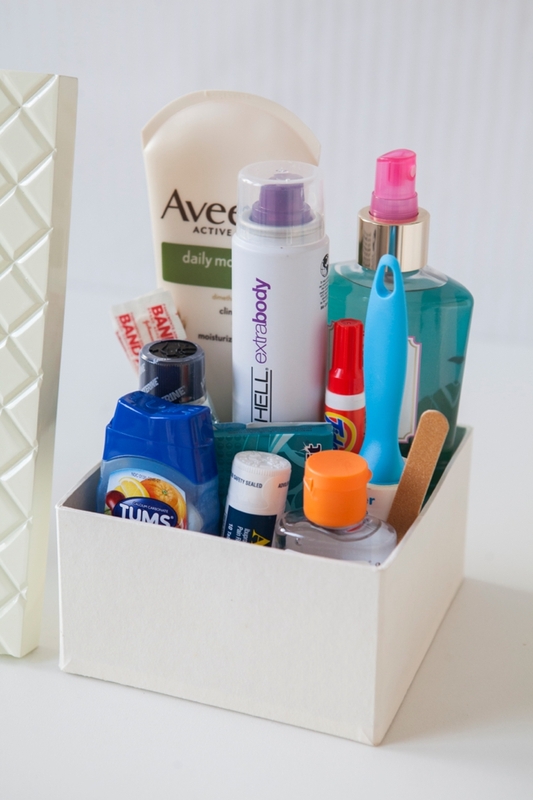 Learn how to make your own bathroom emergency kit! 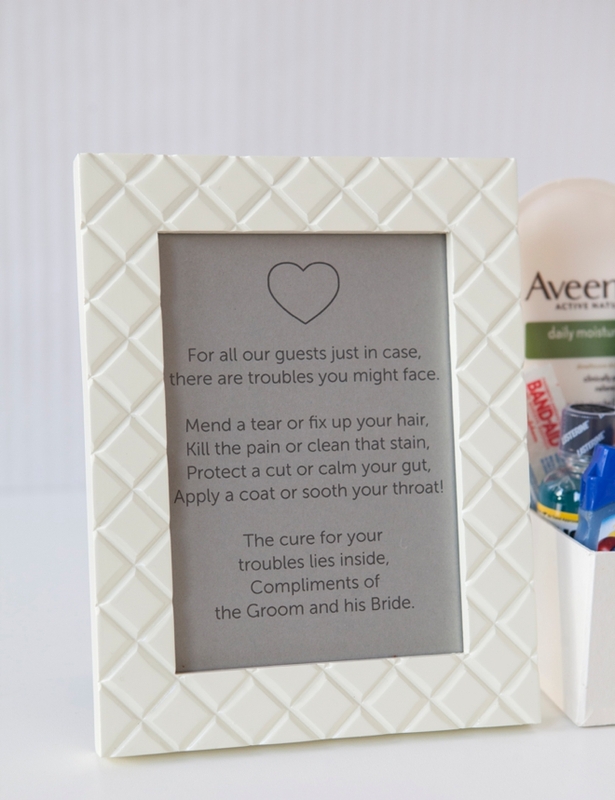 You love your guests right? 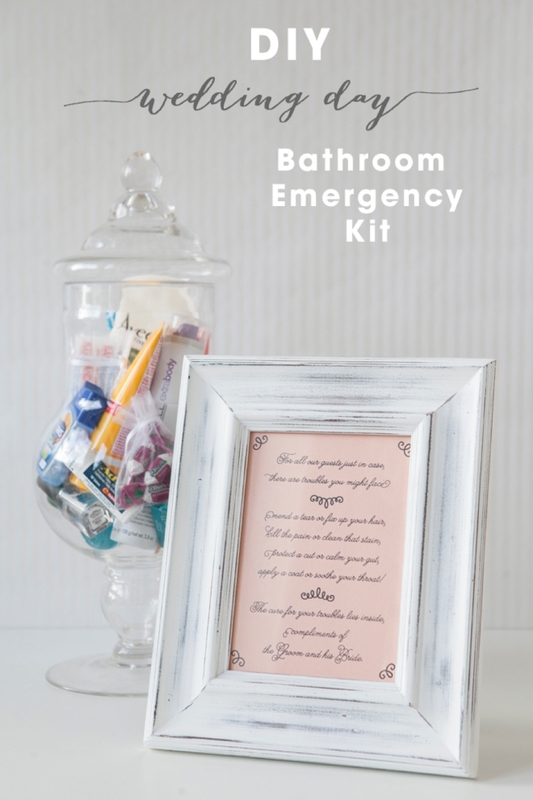 Why not make sure that they have an especially lovely time at your wedding by providing a few “in case of emergency” type items for them in the bathroom of your venue! 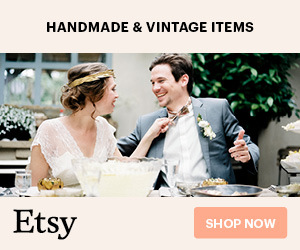 Today I’m sharing my ideas for what a girly, rustic or modern kit could look like. 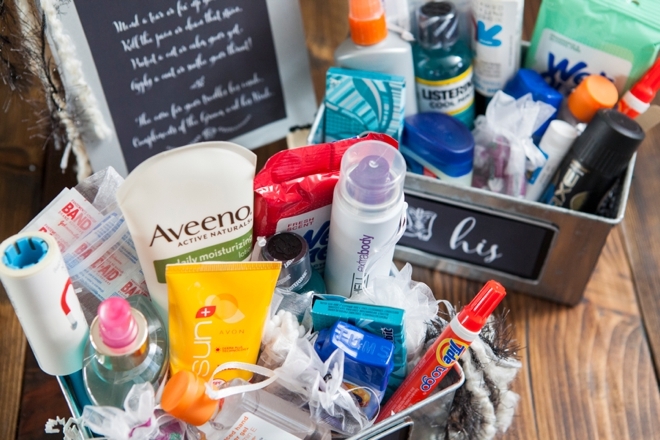 Not to be confused with the Bridesmaid Survival Kit or the Wedding Day Emergency Kit, the Bathroom Emergency Kit is typically a little smaller and meant for your guests instead of the bridal party. I’ve provided tips below on what should be included, but feel free to get creative and include what’s important to you. 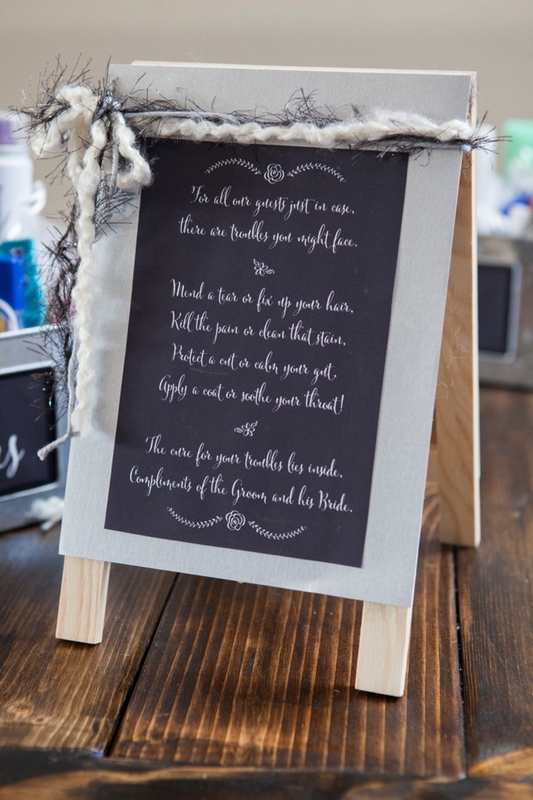 I wrote a fun little poem for the display signs and Jessica from The Budget Savvy Bride created 3 differently darling printables for you! 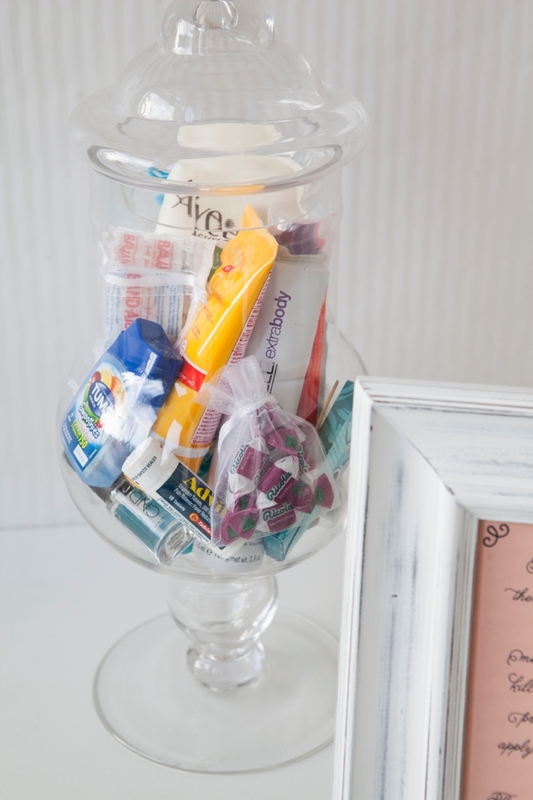 This darling girly version holds all the accouterments in a glass apothecary style jar. 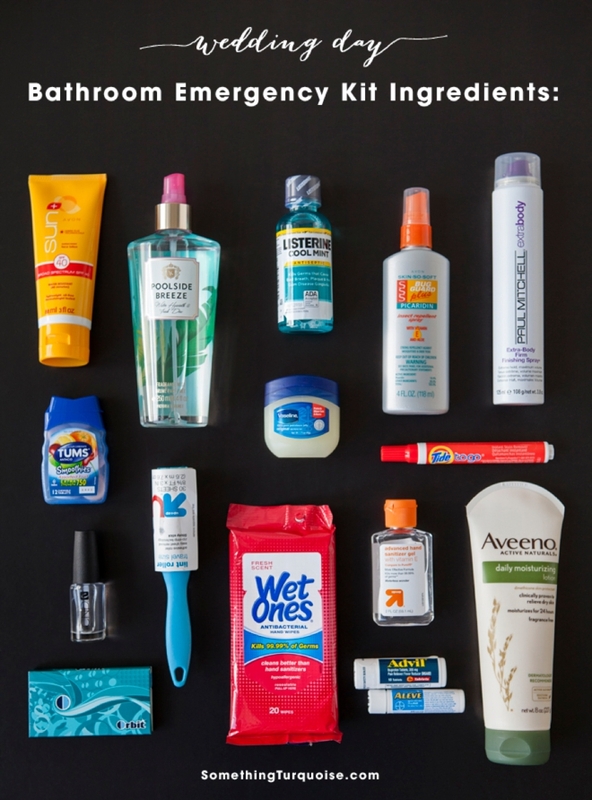 What you choose to include in your kit is of course up to you but I recommend: sunscreen, body spray, mouth wash, bug spray (especially for an outdoor event), hair spray, a sewing kit, tums, lint roller, vaseline, stain stick, clear nail polish, gum, wet wipes, hand sanitizer, lotion, pain killers, contact solution, tampons… and more. 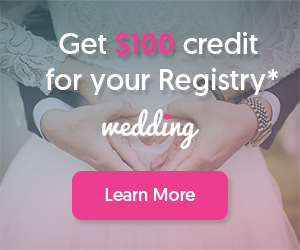 The list might even be determined by your venue; ie. sunscreen is a must at the beach like bug spray is for the farm. 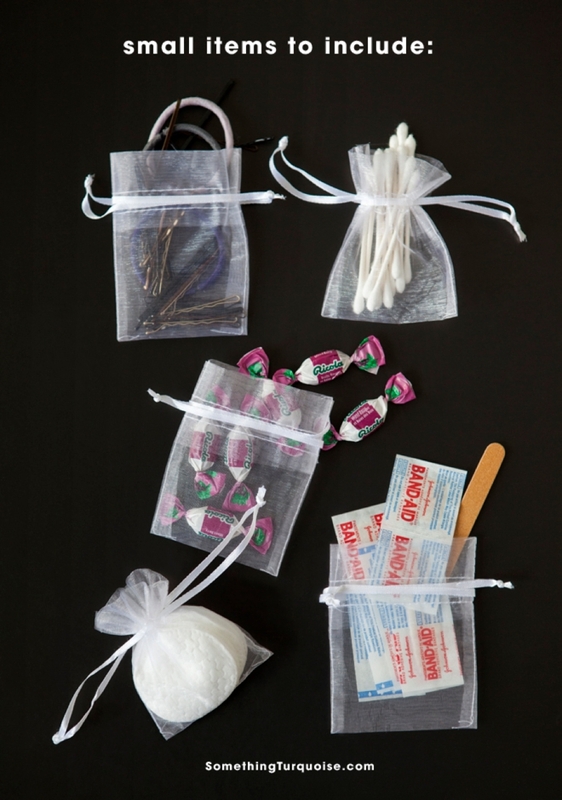 Some smaller ingredients like bobby pins, hair ties, q-tips, throat lozenges, bandaids and cotton balls can be removed from their normal packages and placed into small baggies. 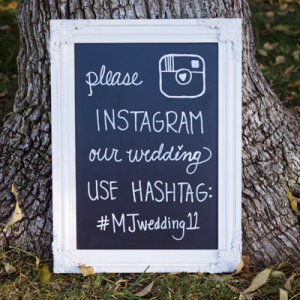 Here is our fun rustic idea! 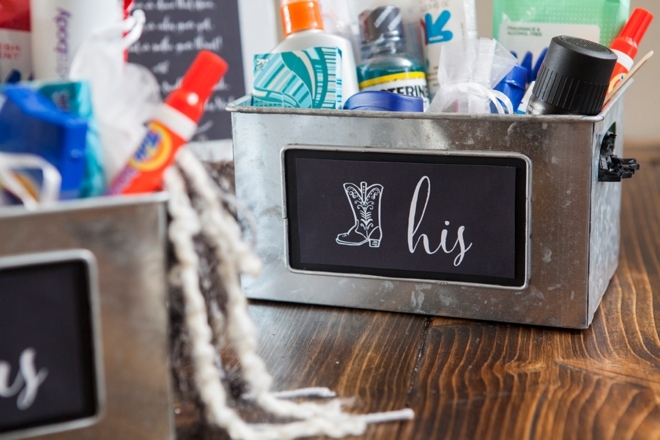 Display all the items in a tin-type box in chalkboard style. 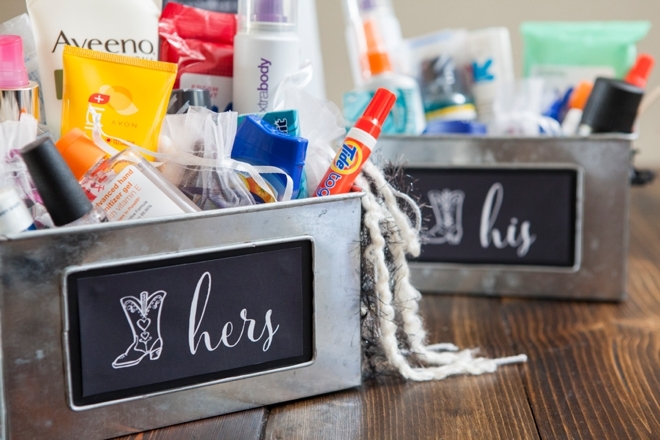 For this one there are also a “his” and “hers” printable for the front of each kit. there are troubles you might face. Apply a coat or sooth your throat! Compliments of the Groom and his Bride! 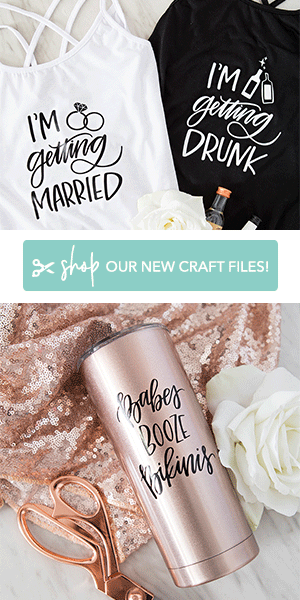 Feel free to copy and use to design your own sign! 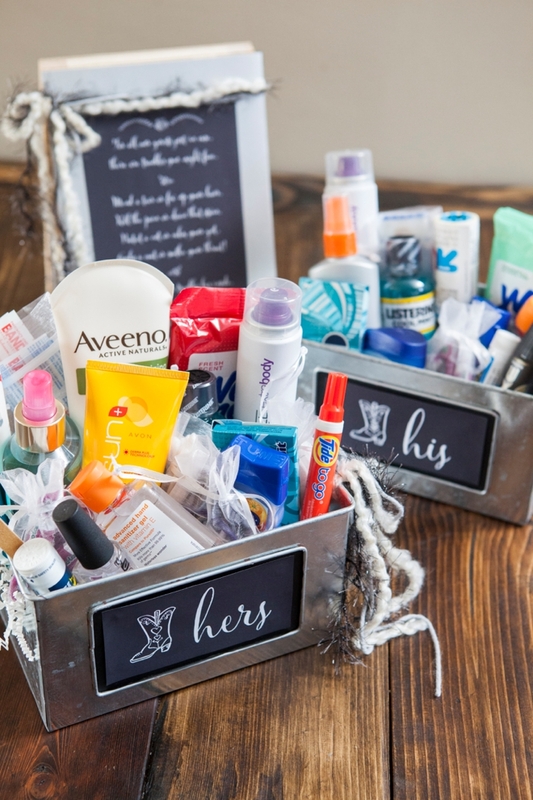 Questioning whether to include a “his” kit for the guys bathroom? 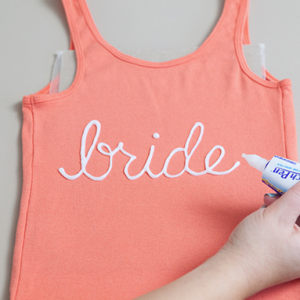 Ask your groom what he thinks, if he says yes then do it! 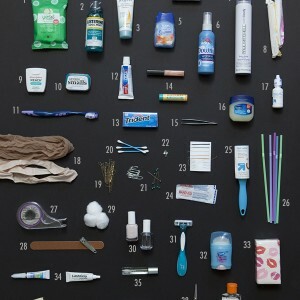 As you can imagine they don’t nearly need as many items as we do. 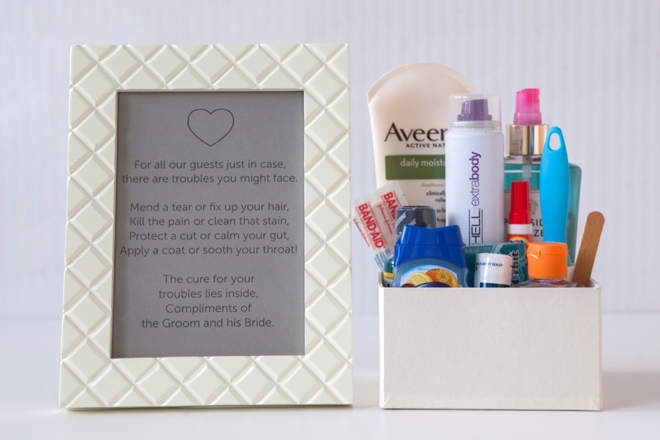 The small gift box I used wasn’t large enough to hold everything on the list, but you might not need to include it all – choose what items makes sense to you.